To all those delusional lefties who laughed at my post on Monday’s Luxor bombing and possible ties to previous casing of Vegas by the Detroit Al-Qaeda terror cell, stop laughing. Las Vegas’ KVBC/News 3 reports that a “person of interest” detained for the bombing possessed false IDs and fake documents. Blowing up a person is clearly an act of terrorism. That the person possessed fake ID and documents raises even more questions. What kind of fake documents? Is he/she an illegal alien? Just askin’. the Las Vegas Police Department has two in custody for the Luxor bombing. News Conference at 10:30am PDT (17:30 GMT). Police are questioning a man they are calling a person of interest in Monday’s bombing at the Luxor. The man was pulled over by police Thursday night and taken into custody. We showed you pictures police released Thursday afternoon of a two door light colored sedan security cameras caught circling the Luxor parking lot in the early morning hours before the bombing. Police say whoever was behind the wheel of this car likely planted the bomb. The person they picked up, however, was not driving that car, but a truck. Police searched the man’s truck and apartment complex looking for evidence that would link him to the bombing on the second floor of the Luxor parking garage. The bomb killed 24 year old Willebaldo Dorantes Antonio. Antonio worked at a hot dog stand in the Luxor and was leaving work around 4:00 Monday morning when he tried to move an object from the top of his car. The object exploded, killing him. Police are careful not to call the person they picked up a suspect in the bombing, but they say he’s had some other trouble with the law. “He has outstanding warrants for possession of a false ID and possession of false documents. So this individual is going to be arrested, but not necessarily at this time on charges related to the homicide that occurred early Monday morning at the Luxor,” said Metro Officer Bill Cassell. 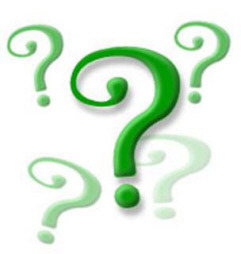 What happens in Vegas–including people with false IDs and documents, stays in Vegas. Police have arrested 32-year-old Omar Rueda-Denvers, who is from Panama. They also arrested 27-year-old Porfirro Durate-Herrera, a Nicaraugan. Police say both men are in the country illegally. . . .
Police say the motive for the crime was domestic. They say that the victim was dating one of the suspect’s former girlfriends. That girlfriend, who had previously dated Omar Rueda-Denvers, witnessed the explosion. Police say Rueda-Denvers had been kicked off the Luxor property several times in recent months for harassing the woman. Police say she had a child with Rueda-Denvers and would not let him see the child. 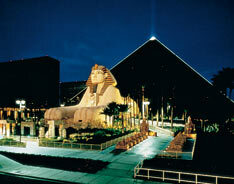 He was most recently kicked off of the Luxor property two months ago. Well I’m sold, it must be Bin Laden. Debbie, I agree that this incident has ‘terrorist’ written all over it. When this story was first reported the media acted like blowing someone up using explosives in a backpack was as common as a traffic accident. Why can’t we just have the truth for a change? When law enforcement states 10 minutes after they have arrived at the scene that “this was not a terrorist related incident” makes me immediately suspicious. Thanks for the follow-up article. We deserve answers. We need to start demanding answers!! Law enforcement and gov’t work for US. At what point in our history did we lose our spine and sell our souls? One of two things are occurring in our nation: 1) we continue to call “terrorist” acts something else to say we haven’t had an attack since 9/11, or 2) we’re afraid to call it what it really is – a TERRORIST attack. Whether one or 100 are targeted, res ipsa – it is what it is! This crap is starting to happen all over the country. How can it NOT be related? We need to step back, look at all of this, and ACT. First, when we catch them, and the evidence is indisputable, shoot them on the spot. Find their families and kick them out as well. A message needs to be sent, the only message these animals understand. They won’t stop until someone punches them out. Rule #1: When you find a rat that usually means that there is a nest containing several more rats somewhere close at hand. Rule #2: In order to solve the rat problem you investigate where the rats are coming from. Rule #3: Once the hiding spot is exposed then you can do whatever is necessary to eliminate problem. Why are we not walking straight into the heart of the problem (i.e. mosques)and dealing with the problem at its source?